6C2-CK5507B - 440 stainless steel. Length 1 inch. Nylon carrying sheath with belt loop. 4 in diameter and it comes with a nylon pouch. 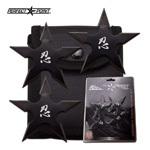 Throwing Stars are a basic throwing weapon with striking surfaces on all edges. 6 Razor Sharp Points, 4mm thick silver finish stainless steel blade. Chinese Words Engraved in Red Color. Includes Nylon Sheath. 4" Overall length in Diameter. 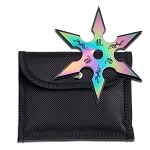 This 6 Point Throwing Star, is 4 in diameter and it comes with a nylon pouch. 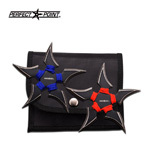 Throwing Stars are a basic throwing weapon with striking surfaces on all edges. 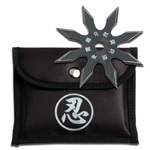 Ninja stars, better known as Shuriken, are around for centuries, and arguably the most popular Ninja weapons. Regarded as secondary weapons to the swords, throwing stars were not the killing weapons. They were mainly used for causing distraction or slowing down the attackers. Sometimes, the Ninjas partially buried them into the ground for maiming their opponents as they stepped on them. 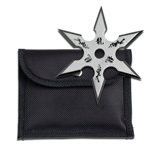 Ninja Stars are bladed, flat throwing weapons with commonly three or four striking points. 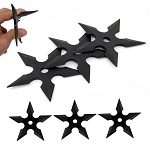 Throwing stars were initially built using everyday items such as nails, metal plates, and knives, and differ in terms of sizes, styles and weight. 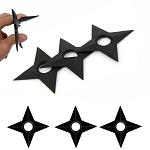 The modern day Ninja stars are available in the greatest variety. 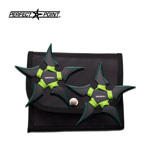 Now, are you eager to get the cool Ninja stars for you? 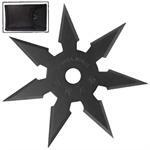 There are thousands of Ninja throwing stars for sale on Knives Deal. 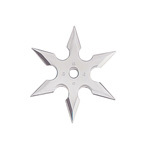 What makes Knives Deal standout is our widest selection of Ninja Stars that you would never find elsewhere. 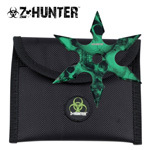 Our unique collection includes 6-point and 8-point Shuriken, Zombie style Throwing Stars, Spinning Moon, and Fantasy Ninja Stars. We are never short of diversity when it comes to modern and traditional styles of Throwing Stars. 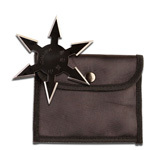 Are you sick of carrying knives and swords, equip yourself with stylish throwing stars. Carry them in your pocket or tie them with your belt, and walk around like a real Ninja. 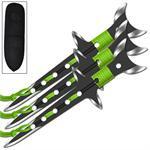 Master the art of throwing weapons using our best Ninja stars. 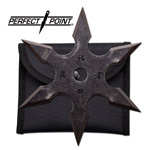 Head to our wide collection of Ninja Throwing Stars, and buy your favorite ones, availing our lowest prices. 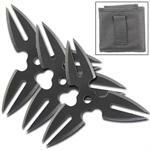 At Knives Deal, we ensure to provide finest quality Ninja Throwing stars at the most affordable rates. 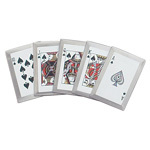 We are known for our quickest shipping services; usually ship during 1 working day. 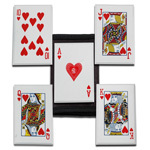 For orders surpassing $99, we provide absolutely free shipping services. 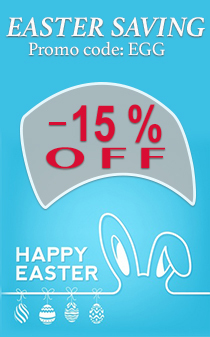 We encourage you to scroll through our Ninja Stars for sale, and benefit from our best offers. 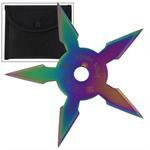 So, shop the cheapest Throwing Stars on Knives Deal, and get your order shipped within a day.  Still, did not find what you want, or searching for other Ninja Weapons? 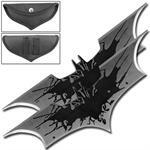 Browse our collection of Ninja Swords, Sparring Gear, and other Ninja weapons.